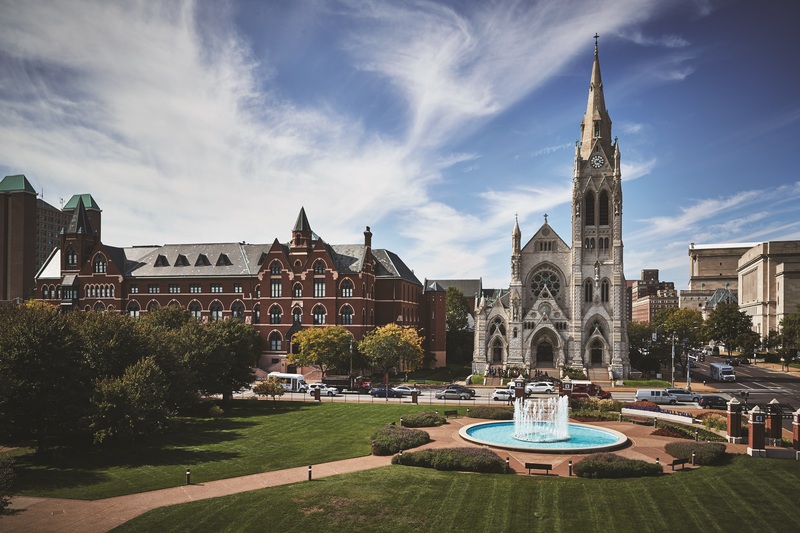 Our hotel’s prime location beside Saint Louis University makes us the #1 choice for guests looking for an elegant stay near the university campus! 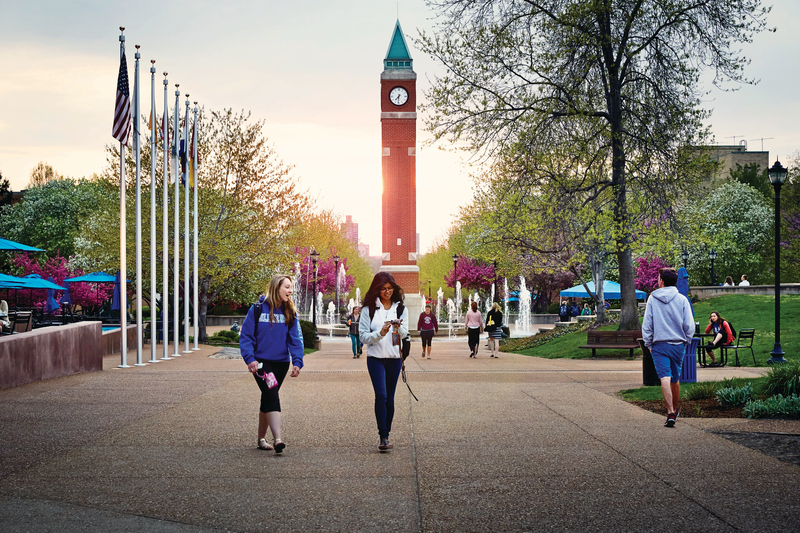 Founded in 1818, Saint Louis University is a Catholic University guided by an enduring Jesuit mission that aims to educate their students to come bold, confident leaders. As one of the oldest Catholic Universities in the country, Saint Louis University has been recognized on an international level for its world-class academics, and its strong commitment to faith and service. 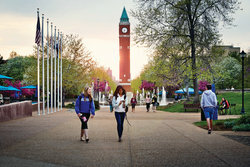 The campus itself is beautiful blend of historic halls and modern buildings. Take a stroll around campus to check out the amphitheatre at Lipic Clock Tower Plaza, or enjoy the fall foliage in the cooler months. Located on campus, and a short walk from the hotel, Chaifetz Arena is home to Saint Louis Billikens men’s and women’s basketball teams. In addition, numerous concerts as well as commencement is held at Chaifetz Arena. 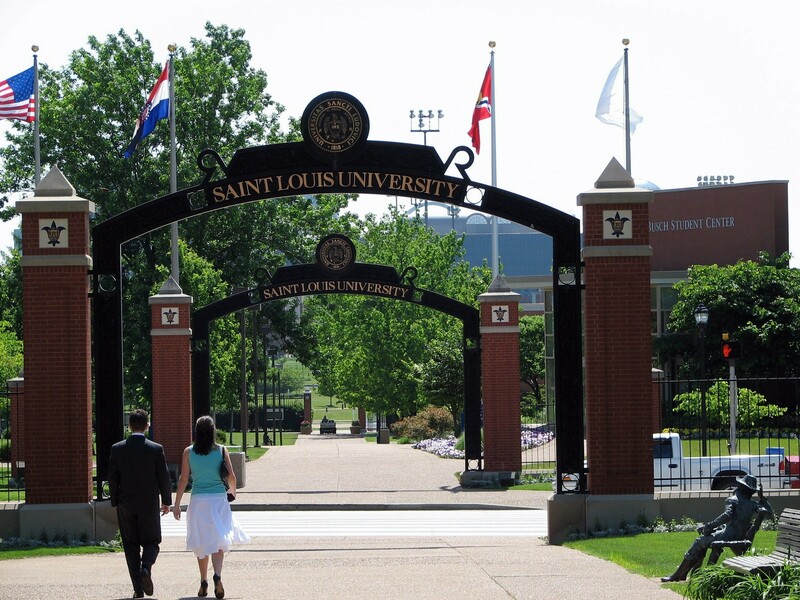 We’re a part of the community of Saint Louis University here at Hotel Ignacio, in fact, many of our friendly, fresh-faced employees are students at the university! Guests looking to visit friends or family on campus or booking an exciting campus tour choose Hotel Ignacio for an elegant, relaxing stay..